Nero Burning ROM or Rome ? 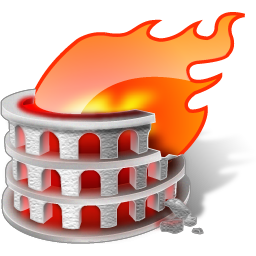 I am just wondering how many of you have noticed the beauty behind naming a software which is used to “Burn” the compact Discs after the Emperor Nero Claudius Caesar Augustus who allegedly burned Rome in order to clear land for his planned palatial complex. whether that allegation is true or not , our faith full software is burning the ROM for the past 15 years . So take a moment to appreciate the beauty and creativity behind naming the software as Nero Burning Rom .